Alice Munro is cherished for her exquisite, affecting meditations on the human heart. 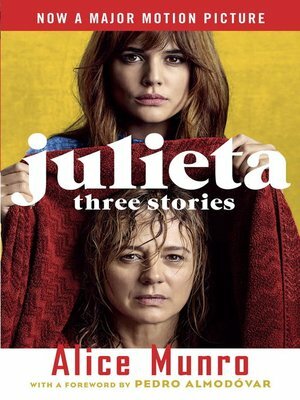 In these three linked stories, "Chance," "Soon," and "Silence"—which, together, inspired Pedro Almodóvar's film Julieta—her virtuosic talents are once again on display. The stories follow a schoolteacher named Juliet as she is swept up by fate: meeting an older man on a train and starting an affair; later, visiting her parents as a young mother; and later still, searching for contact with her estranged daughter. As with all of Munro's characters, Juliet radiates warmth, dignity, and hope, even as she is unflinching in the face of betrayal and loss. In Munro's hands, her journey is as surprising, extraordinary, and precious as life itself.